As a key player during the election campaign and transition, and Donald Trump’s press secretary for the first seven months in the White House, Sean Spicer found himself on the front line between Trump and the press - regularly jousting with the media and having to explain the President’s policy decisions and comments to America and the world. 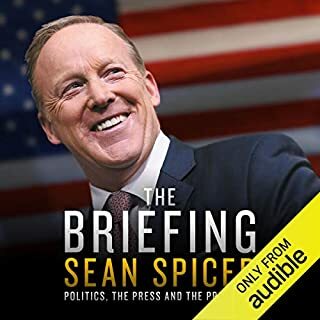 The Briefing taps in to Spicer’s firsthand experience in the front row of the Trump campaign and presidency, shedding new light on the most controversial moments. 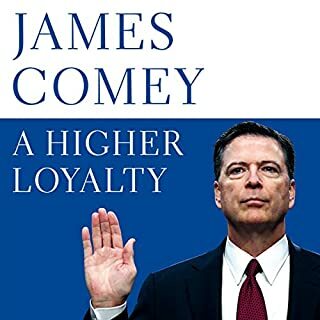 In his forthcoming book, former FBI director James Comey shares his never-before-told experiences from some of the highest stakes situations of his career in the past two decades of American government, exploring what good, ethical leadership looks like and how it drives sound decisions. His journey provides an unprecedented entry into the corridors of power and a remarkable lesson in what makes an effective leader. Peter Schweizer explains how a new corruption has taken hold, involving larger sums of money than ever before. Stuffing tens of thousands of dollars into a freezer has morphed into multibillion-dollar equity deals done in the dark corners of the world. President Donald Trump’s children have made front pages for their dicey transactions. 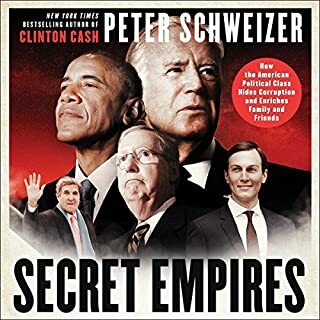 However, the media has barely looked into questionable deals made by those close to Barack Obama, Joe Biden, John Kerry, Mitch McConnell, and lesser-known politicians who have been in the game longer. Journalist Emily Jane Fox has developed a personal relationship with Ivanka and has cultivated sources close to Eric, Donald Jr., and Tiffany. She has scoured their Instagram accounts, combed through all their public speeches and spoken to their childhood friends, college acquaintances, business associates, close advisors and campaign operatives. 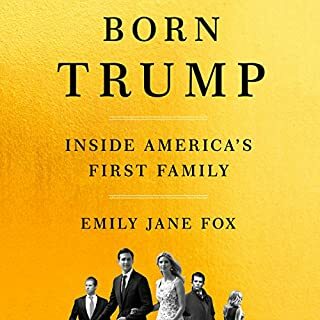 She’s become the foremost expert on the Trump kids, and now, in this exclusive account, Fox chronicles the experiences of the Trump children, individuals who possess more control than any other first children in the history of the presidency. After dropping out of the 2016 presidential race, Chris Christie stunned the political world by becoming the first major official to endorse Donald Trump. 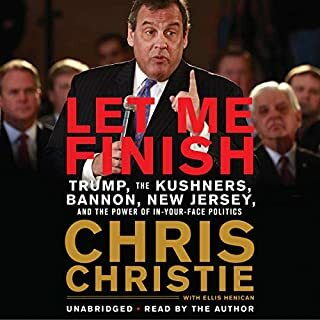 In Let Me Finish, Christie sets the record straight about his tenure as a corruption-fighting prosecutor and a Republican running a Democratic state, as well as what really happened on the 2016 campaign trail. Christie takes listeners inside the ego-driven battles for Trump's attention and reveals how the literal trashing of Christie's transition plan put the new administration in the hands of self-serving amateurs. Bill O’Reilly turns his razor-sharp observations to his most compelling subject thus far - President Donald J. Trump. 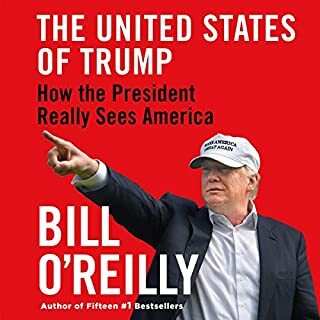 In this thrilling narrative, O’Reilly blends primary, never-before-released interview material with a history that recounts Trump’s childhood and family and the factors from his life and career that forged the worldview that the president of the United States has taken to the White House. 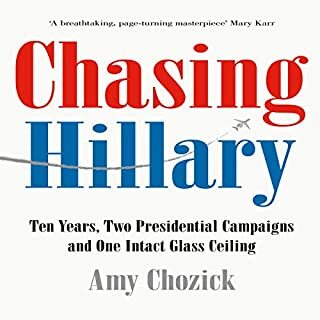 For a decade, award-winning New York Times journalist Amy Chozick chronicled Hillary Clinton’s pursuit of the presidency. Chozick’s front-row seat, initially covering Clinton’s imploding 2008 campaign, and then her assignment to 'The Hillary Beat' ahead of the 2016 election, took her to 48 states and set off a nearly 10-years-long journey in which the formative years of her 20s and 30s became - both personally and professionally - intrinsically intertwined to Clinton’s presidential ambitions. One of the poorer stories I've heard. In our current age of hyper-partisan politics, nearly everyone takes sides. 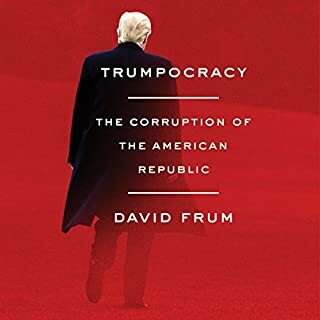 This is especially true with regard to the Trump presidency, which did not cause this profound division but has drawn it to the surface, making it the dominant paradigm of political debate. 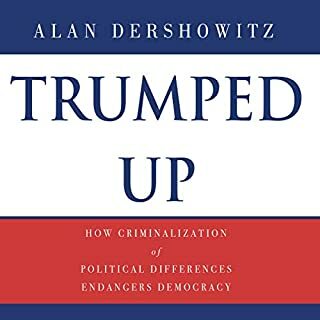 Both sides scream lock 'em up, criminalizing political difference instead of making substantive criticisms of opposing views. This deeply undemocratic fallacy - that political sins must be investigated and prosecuted as criminal - is an exceedingly dangerous trend. 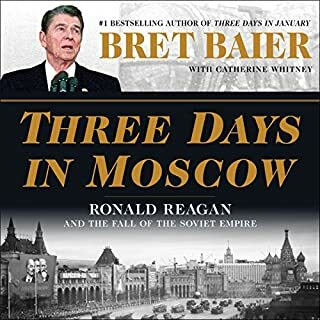 In Three Days in Moscow, Baier explores the dramatic endgame of America’s long struggle with the Soviet Union and President Ronald Reagan’s central role in shaping the world we live in today. On May 31, 1988, Reagan stood on Russian soil and addressed a packed audience at Moscow State University, delivering a remarkable - yet now largely forgotten - speech that capped his first visit to the Soviet capital. 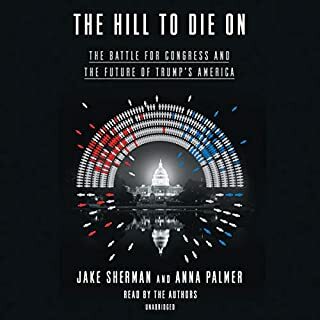 The inside story of the battle to control Congress and the unsparing fight for advantage in the 2018 midterm elections. 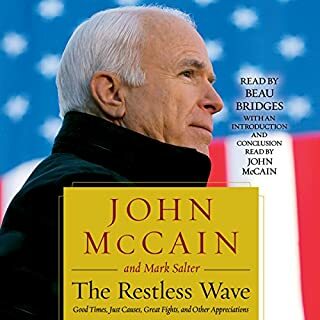 In a time when Washington, DC and the country are more polarized than they have been for decades, John McCain is the rare public figure who has earned the respect of people on both sides of the aisle. He is a model for bipartisanship and political integrity. In his 40 years in politics, McCain has never been afraid to buck trends or ruffle a few feathers. His words are more important today than ever. 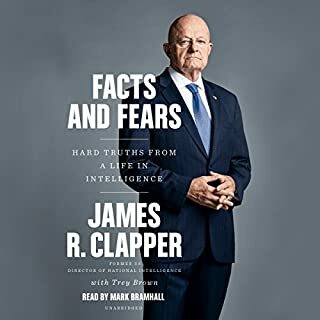 When he stepped down in January 2017 as the fourth US Director of National Intelligence, James Clapper had been President Obama's senior intelligence advisor for six and a half years, longer than his three predecessors combined. He led the US Intelligence Community through a period that included the raid on Osama bin Laden, the Benghazi attack, the leaks of Edward Snowden, and Russia's influence operation on the 2016 US election. 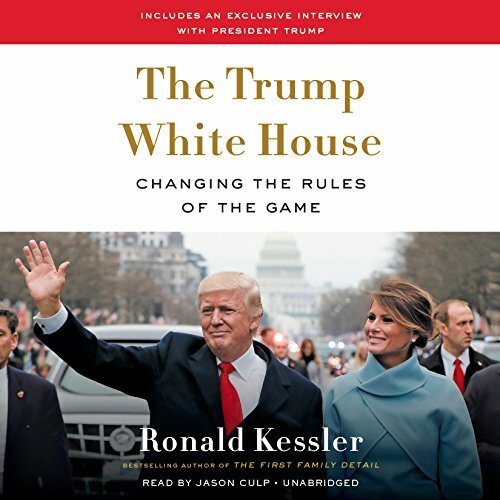 Based on exclusive interviews with the president and his staff, The Trump White House: Changing the Rules of the Game tells the real story of what Donald Trump is like, who influences him, how he makes decisions, what he says about the people around him, and how he operates when the television lights go off, while portraying the inside story of the successes that have already brought solid results as well as the stumbles that have turned off even longtime supporters and undercut his agenda. Never before has an American president had so much impact on the country and the world in so short a time as Donald Trump. Yet no president has stirred so much controversy, dominating media coverage and conversation both pro and con. Months after Trump took office, consumer confidence hit a 17-year high, unemployment plummeted to the lowest level in 17 years, and the stock market zoomed to repeated record highs. At the same time, ISIS was nearly defeated, Arab countries banded together to stop financing terrorists and promoting radical Islamic ideology, and Trump's decision to send missiles into Syria and his strident warnings to North Koerean leader Kim Jong-un made it clear to adversaries that they take on the United States at their peril. Yet for all the media coverage, Trump remains a cipher. Ronald Kessler has known Trump and First Lady Melania Trump for two decades and understands him better than any other journalist. Crammed with media-grabbing revelations, The Trump White House is the unvarnished and unbiased inside story that answers the question: Who is Donald Trump? Exceptional, impressive and well written. I appreciate the facts of our government and story of the Trump family and administration. For example, Kessler will mention multiple examples of Trump yelling at his staff or blatantly insulting them, and then uncritically repeat statements by Hope Hicks about Trump being such a nice man to everyone further down the same page. 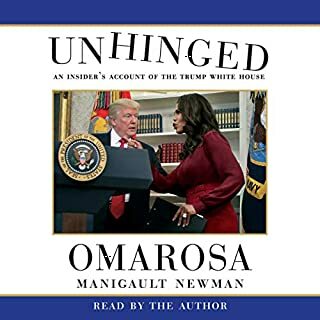 The book slavishly praises Melania Trump, claiming that she’s provides excellent, well-thought out advice on all sorts of policy issues. Given that virtually every major policy initiative pursued by the Trump administration has failed to gain support from congress, not been implemented, or been seemingly forgotten about, this is a gutsy claim. Even if the Trump administration had enjoyed more success, it would be pretty remarkable for someone with no apparent knowledge or experience in any policy issue area to be a font of great advice. Is she just a really good guesser? 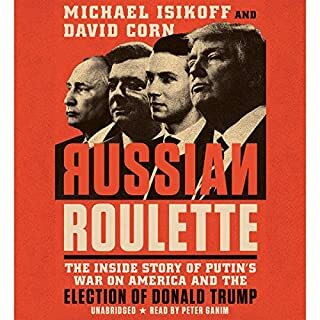 Oddly, the book shits on Ivanka and Jared for their lack of knowledge and experience. Kessler also claims that she routinely poses her own questions at Trump’s senior staff, despite the fact that she has almost never attended meetings where policy issues have been discussed. But what’s most strange about this part of the book is how unnecessary it is. Frankly, no one cares if the First Lady participated in policy discussions. It isn’t her job. Why waste time pretending that she’s great at the job she not only doesn’t (as far as anyone can tell) do but doesn’t even need to do? Kessler makes the bizarre claim that Melania not only wanted Trump to run for president but also enjoys being the First Lady. It’s pretty well known at this point that she barely performs the role at all and spends as much time away from Washington, and her husband, as possible (she’s a closely-monitored public figure, after all), so why did Kessler feel he could claim otherwise? Kessler’s defence of Trump on the Russian collusion/Comey firing amounts to writing “no collusion!” over and over and peppering in several false statements about the meaning of the US’s obstruction of justice laws. 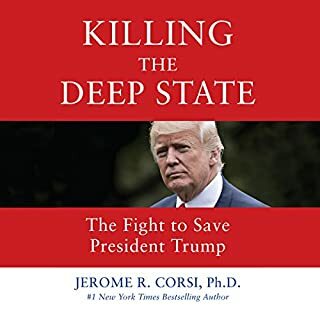 Kessler goes on to make claims, sometimes mentioning statistics, about “yearly” trends in an issue area, such as immigration figures, despite the fact that Trump had only been in office for one year, at most, when Kessler would have had to submit the final manuscript to his editors. 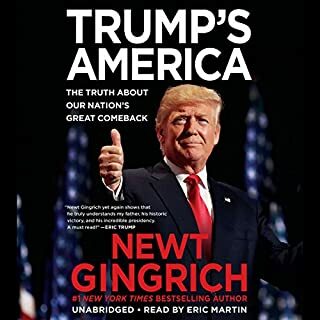 Toward the end, it stops even talking about the Trump administration and goes on a rant about affirmative action, black lives matter, and police shootings. Kessler also makes a pitch for assassinating Kim Jong Un with poison-carrying robotic insects. If you ask me, this is a *fantastic* way to deal with the leader of a nuclear-armed country. Ultimately, as a reader, you’re left to make a clear choice: either dozens of other journalists, each with their own sources, have been wrong about the Trump administration or Kessler is wrong. One of these choices is simply much more plausible than the other. Would you try another book from Ronald Kessler and/or Jason Culp? Kesler is usually excellent, missed the mark here. Would you be willing to try another book from Ronald Kessler? Why or why not? Which character – as performed by Jason Culp – was your favorite? Was The Trump White House worth the listening time? Loved the details in this book. 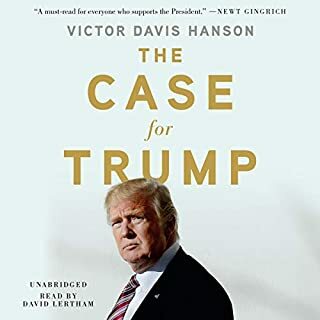 I'm a Trump fan, so this is my kind of book. I enjoyed this book. It certainly presents President Trump in a mostly positive light, but not in an unbalanced or over the top way. The only reason I didn’t give 5 stars is because each chapter is a mishmash of loosely related content. It was never boring, but the “flow” felt awkward at times. Nonetheless, I look forward to reading other books by Ronald Kessler, especially about the FBI. The narrator, Jason Culp, was absolutely engaging and his voice distinctions/impressions were excellent. So terribly jaundice in its presentation. It was a horrible listen. I returned to book w/ in 2 hours of beginning it. Rambles, takes many ad hominem attack son people who have NOTHING to do with that Trump reality. I couldn't finish the book. Trump didn't write "The Art of the Deal." The author assumes he did. This is one of many ignorant assumptions the author holds which paints a very rosy and totally inaccurate assessment of Trump.